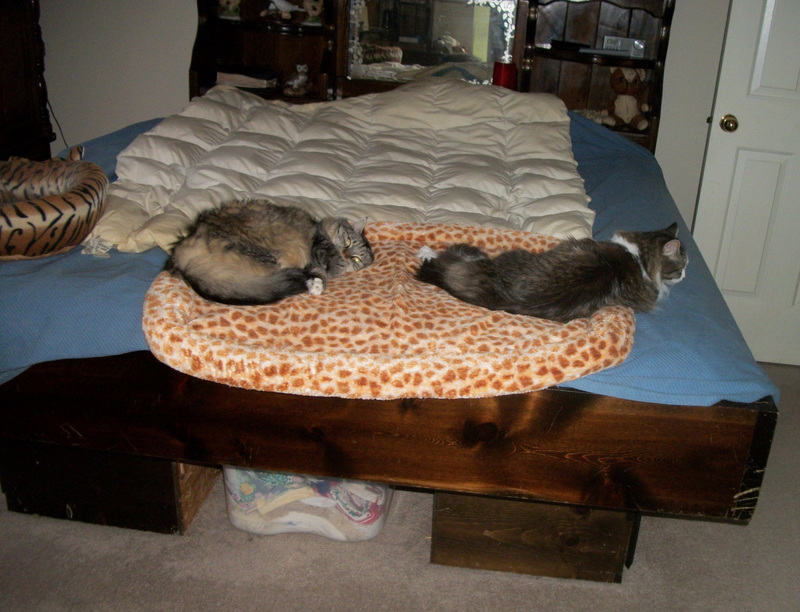 On Wordless Wednesday I present my two cats Zeke and Opie at various rotation angles, sharing a cat bed. 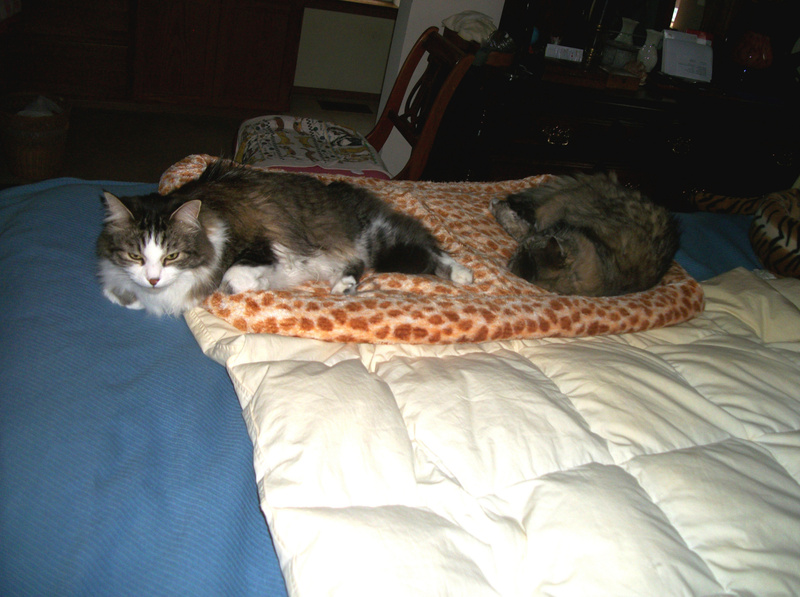 In the summertime they do not sleep here together, but now I see them together signalling a season change. It is freezing at 32 with frost outside. Will they actually be touching when it gets even colder? Cute photos. They have been closer before. We shall have to wait and see They are siblings. Diavolo is spending a lot more time snuggled with me. Not quite as cold here…by about two degrees. Although now it is a beautiful day outside we’ll see if he goes out. Nearly two pm and I was out mowing the lawn! Oh how cute! 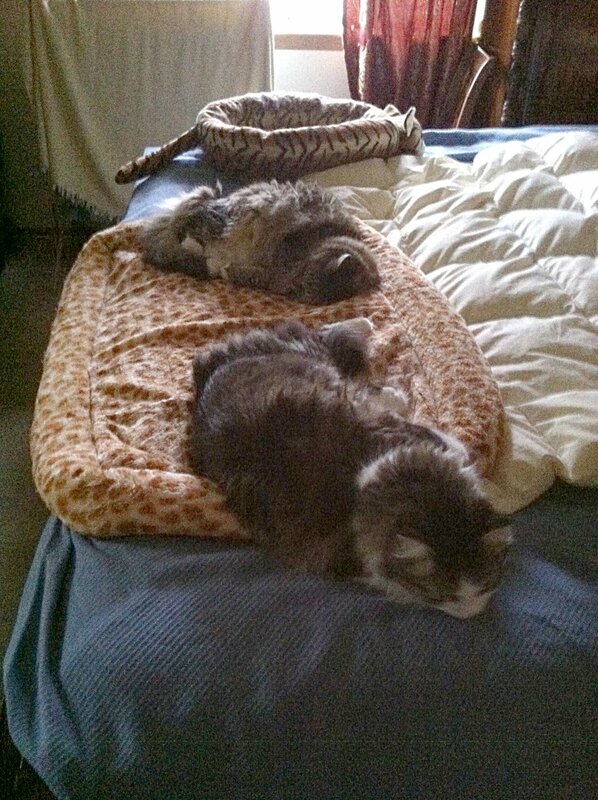 I love how Zeke is hanging off the edge even though there is plenty of room! Cats do have the propensity to sit in strange ways for strange unknown reasons.